The Condor Kondoru Wakizashi is a masterpiece in artistry that any Samurai would be proud to carry. 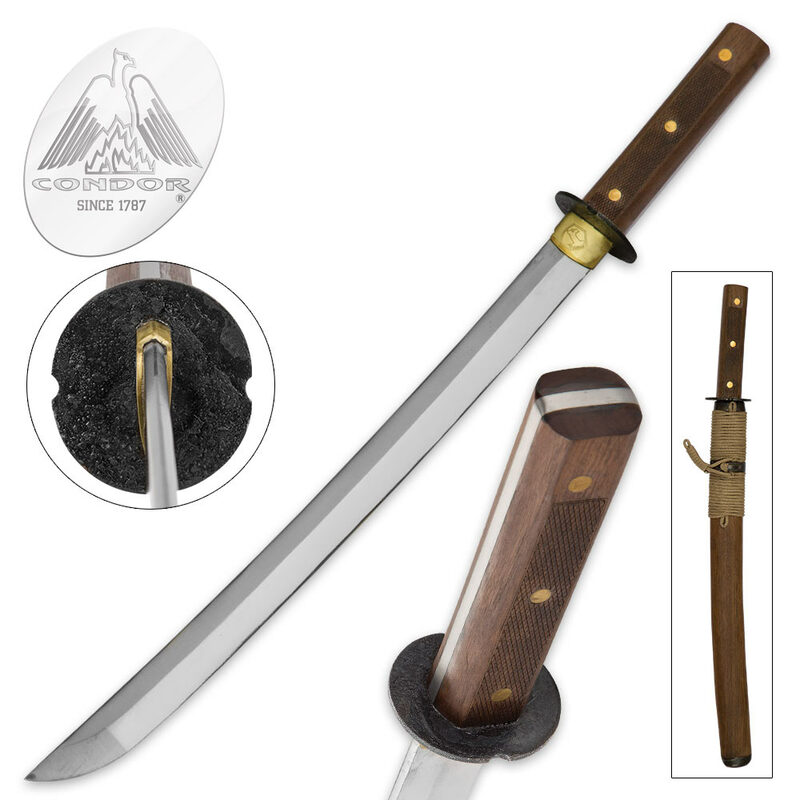 It is a serious sword that would make a stately addition to your sword collection. It would be a crying shame if you didn’t pick this wakizashi up. It features a 17” 1075 carbon steel polished blade that is razor-sharp. The handle is of Walnut and has a textured grip to give you a slip-free secure hold when wielding it. 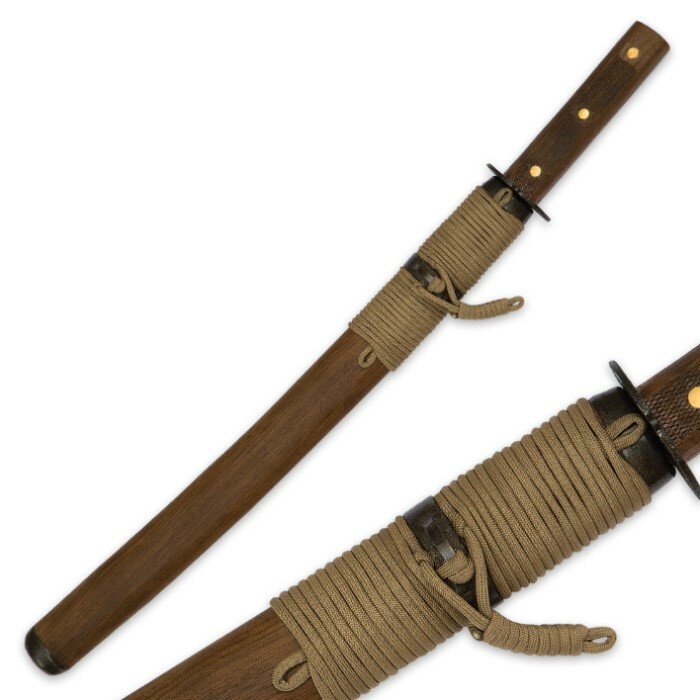 A Walnut scabbard with a wrapped paracord accent houses the blade. 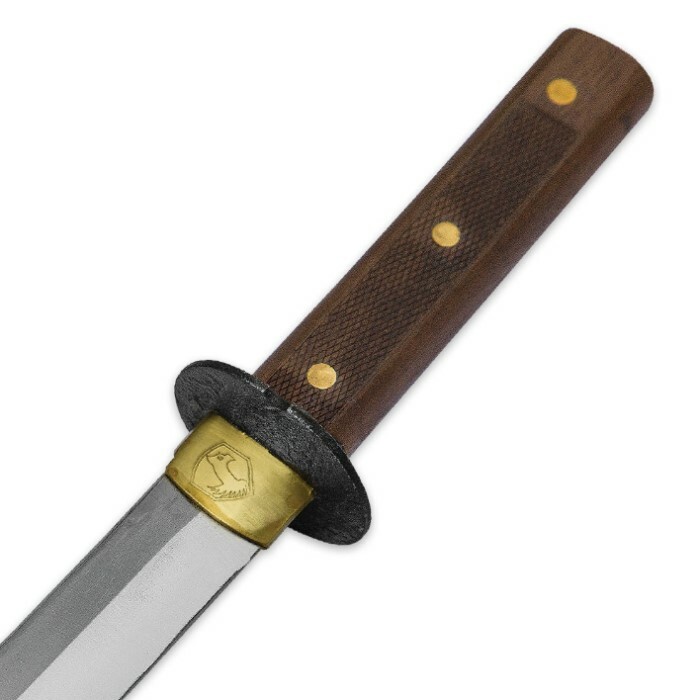 This wakizashi is 22 3/4” in overall length.